hands in attestation to their claim." ﻿The British Mandatory forces brutally crushed the Arab Revolt in Palestine (1936-1939). 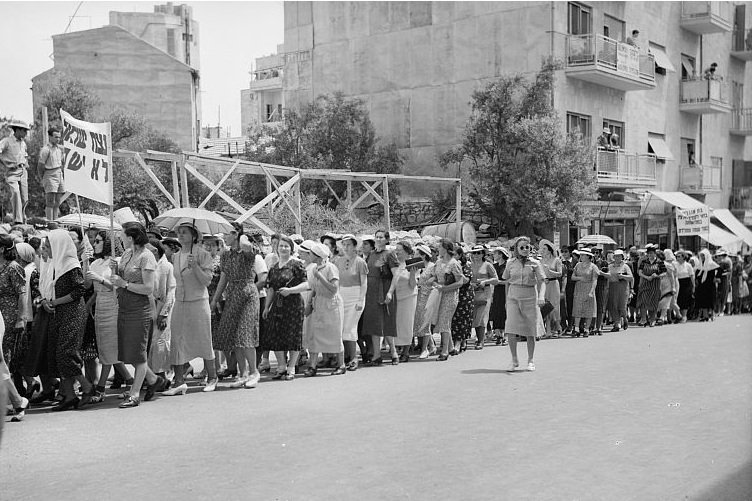 Despite their heavy losses, however, the Arabs succeeded politically in forcing the British government to severely limit Jewish immigration and land purchases in Palestine. Protesters marching on King George St. In 1939, the British government headed by Neville Chamberlain issued the "MacDonald White Paper," a policy paper which called for the establishment of a single Palestine state governed by Arabs and Jews based on their respective populations. ﻿﻿The White Paper was approved by the British Parliament in May 1939, thus signing the death sentences of millions of Jews precisely when the Nazi tide was threatening to engulf Europe. 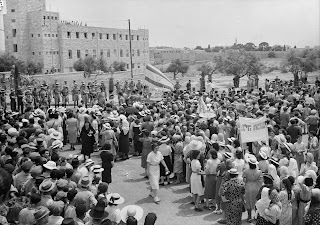 In a previous posting we presented details and pictures of Palestine's Jews demonstrating in Jerusalem against the White Paper on May 18, 1939. 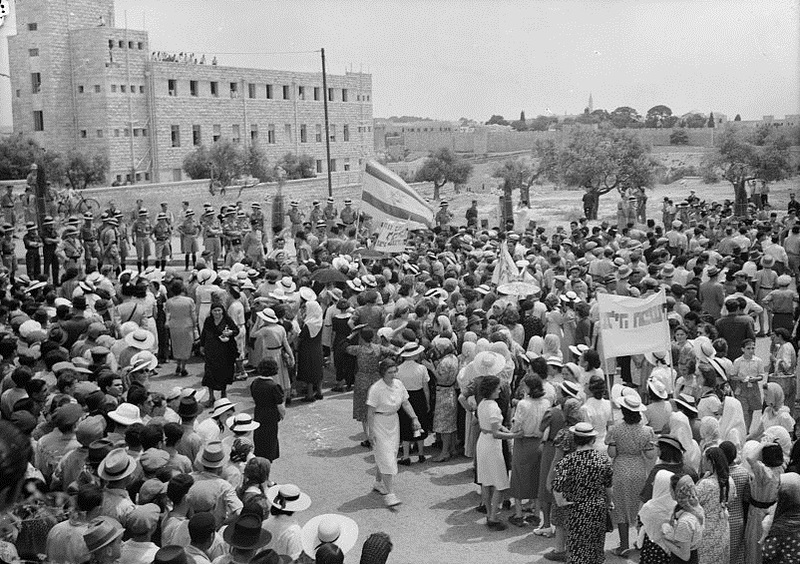 The American Colony photographers returned four days later to film the protest of the women of the Yishuv, led by some of the leading women figures in Jerusalem at the time: Ita Yellin, Rachel Yanait Ben-Zvi, and Sarah Herzog. Sarah Herzog, known as the "Rabbanit," was married to the Chief Rabbi of Ireland, Yitzchak Isaac Herzog. They moved to Eretz Yisrael in 1936 when he succeeded the Chief Rabbi Abraham Isaac Kook. 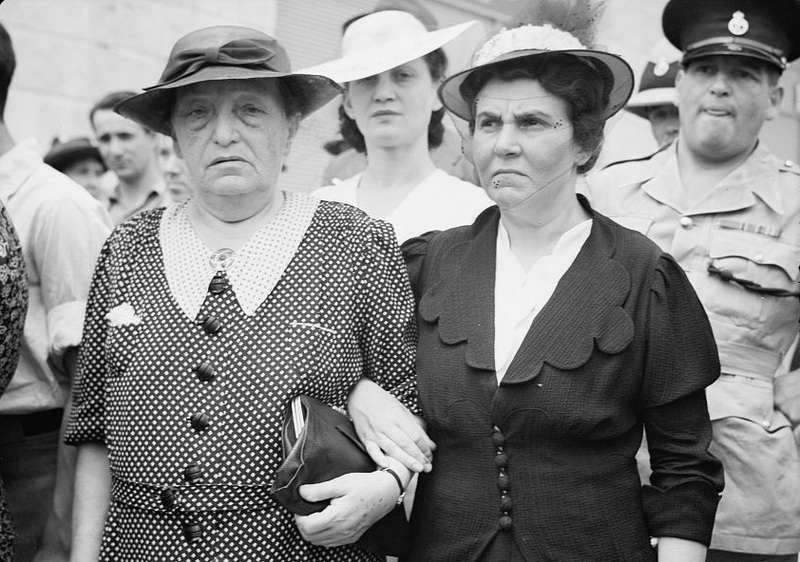 Mrs. Herzog succeeded Ita Yellin as volunteer head of Ezrat Nashim Hospital, displaying tremendous energy and tenacity to gather support for the hospital which is today named the Sarah Herzog Hospital in her honor. 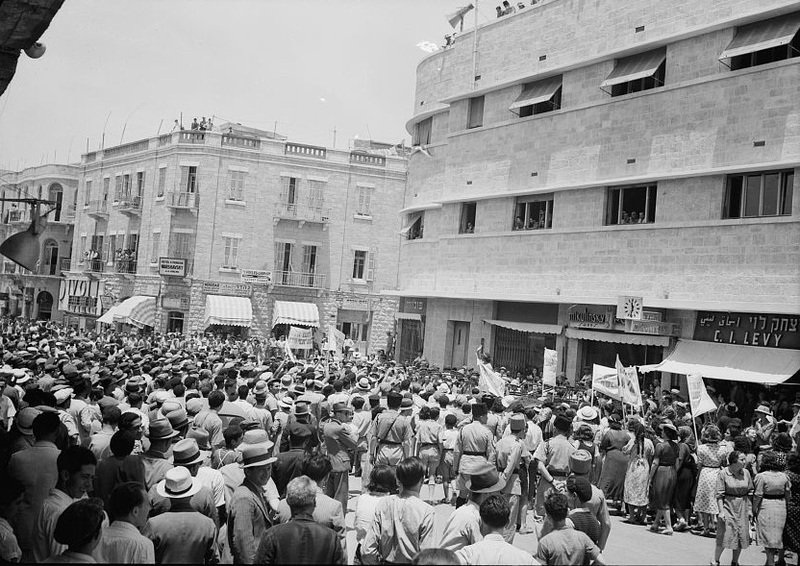 A persistent Jerusalem rumor hints that Jordan's King Talal bin Abdullah (King Hussein's father) was institutionalized at some point at the Ezrat Nashim Hospital for his severe depression and schizophrenia that led to his dethroning in 1952. Rabbanit Herzog was mother to two sons: Ya'akov and Chaim, who both served in senior Israeli posts. Ya'akov, a rabbi as well as diplomat, served in Washington and Canada and as a senior advisor to Israeli prime ministers. Ben-Gurion referred to him as "Israel's Safnat Paneah," the name granted to Joseph by Pharoah for his wisdom and advice. Chaim Herzog served as Israel's president (1983-1993) after serving in Israel's military and as ambassador to the United Nations. 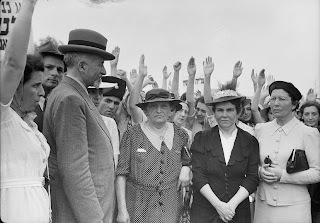 Many recall the ambassador standing at the UN podium tearing up the "Zionism is racism" resolution, an action once taken by his father, the chief rabbi, at the May 18, 1939 demonstration where he tore up the British White Paper. Chaim Herzog's son, Yitzchak, serves in Israel's Knesset, and son Michael is a general in the IDF reserves.